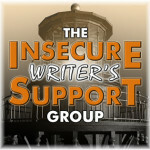 IWSG: How has being a writer changed your experience as a reader? I’ve been studying fiction craft for the last six years. These days, when I read a story that isn’t engaging me, I’m more likely to know why (head-hopping and/or poor characterization for example) I experience the urge to throw the book across the room. Life is too short to finish reading poorly-crafted novels. If I live to celebrate my eightieth birthday, and manage to read an average of two novels a week in the interim, I can reasonably expect to read another 2,600 (yes, you can do backwards math and figure out how old I am!). That may sound like a lot, but it really isn’t. I love reading and I love acquiring books. At last count, between my e-readers and my bookshelves, I already own more than 800 unread novels and short story collections. In addition to simply reading books that appeal to me, as a writer I now have a reading list I feel I should read. And, of course, I want to read them. I dream of finding ways to stop time, so I can regularly settle into a chair and read without the pressure of a hundred other demands (including my own writing calling to me). Now that’s an interesting premise for a speculative fiction short story. That’s a lot of books on your TBR. Sometimes I think I should just stop writing and read, read, read … but then I want to tell my stories too. I’m not doing the math to guess your age. I’m way too quick to purchase books, but I don’t want to change! My husband reads 1 book every two days. I watch in amazement. He’s probably passed 800 a while back. Don’t change, KT. You’re a blessing to authors everywhere. I don’t always stop reading just because it’s poorly crafted, but I do have a need to know WHY I’m reading it, if I do. Plotting? Characters? What’s good about it? If there isn’t something, no… I won’t drag myself through. The longer I write, the less patience I have with poorly crafted, published work. However, I also know people who finish every book they start. That’s just not me. Reading is a big key to writing well. Mistakes are seldom 100% avoidable but certainly a few are ok if the writing is good. I forgive a few typos! I wrote something similar today, and it surprised me how many people said they have to read a book to completion, even when it’s bad. There are just too many good books out there to waste time on bad ones! With so many great books waiting to be read, I just don’t get the need to finish every one. Hi, KT! I too worry about all the books I may not have time to read! I’ve rarely abandoned a book. I have this compulsion to get to the end. I’ve been paring my book collection down because I may be moving to another state, but I’m nearing an irreducible minimum. My favorite books are friends. B.C., eh? My husband and I have spent a month or so in Victoria the past two Septembers, and I am discovering what a lovely place British Columbia is. Happy writing! Thanks for dropping by, Louise. I feel your pain. I hate getting rid of books! Victoria is a great place to visit. I’m in the lower mainland and I love the province. Time really does go by too fast and we never have enough of it. That’s why I won’t finish a book if I’m not liking it. Too many other books are demanding my attention. I’m with you! Thanks for dropping by. I used to really hamstring myself by refusing to stop reading a book once I had picked it up, which really puts a damper on reading. When you have a book you feel you have to finish, but also desperately don’t want to pick up again, you feel guilty even looking at another book. I’m glad I’m passed that, and I commit only to books I enjoy. Being a writer has definitely taught me a lot about the “whys” of a novel not engaging me, and in return, reading a novel that doesn’t engage me and figuring out why has also helped me clarify certain aspects of my writing style. I think reading an extraordinarily well written novel also brings me even more pleasure than it used to, too. So far, so good. Good points, Julianna. I wonder about the occasional writers who claims not to read much and especially those who don’t read in the genre they write. Writing fiction has definitely changed the way I read. When I discover a story I enjoy, I read it once for the sheer enjoyment of it, and at least once more to figure out how the author worked his magic on me. Oh yes, and I also do something I wouldn’t have dreamed of before – I make notes in the book, and highlight passages etc. I’m seriously impressed by your TBR list. And that you have the fortitude to do anything but read with all that temptation hovering around. I’d love to figure out how to read and knit at the same time! Once I started writing for publication, I became a totally different reader. I think my brain re-wired itself. I’m even more impatient with other story forms, especially movies. I think Save the Cat has redialed my movie viewing experience forever. Welcome to IWSG. Hope to see you a lot. I can relate to this! I find myself critiquing the writing of the show or movie out loud. My husband has become quite good at it too. It’s now a form of entertainment. 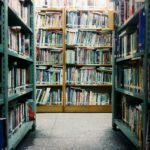 800 unread novels and short story collections? Wow! I always say that if it was a paying job, I would gladly spend the whole day reading. I’m a reader first. The writing started late. These days, I just can’t read with that same abandon that I used to before I started writing. Maybe I shouldn’t have admitted that publicly. lol. I agree! Life is too short to waste on bad books. Not when there are so many good ones out there. And I don’t think I made it by last month to welcome you to the IWSG. My apologies – it’s hard to keep up with everyone!